The Information that is captured in the Akashic Records comes from each individual’s every thought, word and deed. Those thoughts, words and deeds begin to be Recorded from the moment a Soul separates from Source and incarnates into a life form. Thoughts, words and deeds are captured from the Past, Present and into the Future, so as to be one Book with continuous chapters per Soul. There are many books written about the Akashic Records. There is much information on the Web. There is nothing, however, that can explain the gift of experience the Records for yourself! WHO KEEPS TRACK OF THE INFORMATION AND HOW? You might be asking yourself if all this information is kept, then how is it kept and who monitors this process? This process is DIVINELY guided, and overseen by those Energy Beings who thrive on keeping track of information; and who have gained the status of Great Accountability and Steadfastness, along with other traits which will be explained below! The Energy Beings are most often called the Masters, Teachers and Loved Ones. Sometimes they are referred to as the Record Keepers! Their status, is more than the name Record Keepers might imply, so that term is used sparingly! Or perhaps, lovingly with familiarity! IS THE INFORMATION PROVIDED TO US BASED ON THEIR OWN EXPERIENCES OR IS IT SOMETHING HIGHER – DIVINE INFORMATION, OR DO THEY ACCESS THE INFORMATION? This Question was asked by one of the students in a Level II class. Since all class work is done with the Records Open, I was instructed to ask each student to ask this question, so that an answer could be received! Both – we, like you needed to experience the world as we know it, like Jesus, we incarnated in a human form to experience what is like. The thing after we experience it, we became one with Oneness (God). now, we have access to knowledge, which in reality all of us are privy to but we have forgotten about it. we are in different place, not because it is inaccessible to you, but because you believe it is. we information we provide is to help you remember your way back to Oneness. by you remembering, you then help other remember. We are not awaken from the dream until everyone is. We appreciate the question – (this from a firm, strong voice) – We have each gained a level of excellency that allows us to access the information of others souls. The Loved Ones are the beginners of our group – they get to experience this Duty/Service first because they have gained a level of great compassion/non-judgement, that allows them to step in and experience this. The Teachers are on the same par with the Loved Ones with a bit more experience. The Masters become those who have nearly perfected compassion, wisdom and unconditional love. So we, are able to access the soul Records and to access our collective life experiences to aide and assist when called upon. Beautiful answers to the same question asked!!! In ancient times, all Souls born were automatically able to access the Records. As time went on, abuse of this privilege, caused God/Spirit/Creator to revoke this ability. People were born without knowledge of or remembrance of the Records – except for a few. Those few, who were granted permission to keep their abilities alive, where also granted permission to pass this knowledge on to a select few, until out of those, a few were told that now was the time to bring forth this wonderful, sacred tool; and to teach others about it so that they too were prepared for the vibrational energy that is coming. ° Have you ever wondered what your purpose is? ° Have you ever felt when introduced to a perfect stranger that you knew them? ° Have you had dreams that you wished you could interpret? ° Have you ever gone to a new place only to feel that you had been there before? These are all questions that can be answered by accessing your Akashic Record; these and many, many more. From the moment a Consultant begins talking with a potential Client; and that person decides to have a consultation, the INTENTION for that appointment is set. The Consultant, may ask the client to bring several questions they would like answered through the consultation. 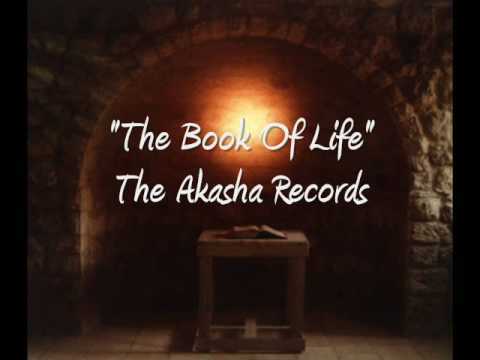 The Akashic Records are accessed by utilizing a sacred prayer, which when said in conjunction with the legal name allows information to be received. In order to receive the information, it is important that the consultant “get out of the way” and allow themselves to be a vehicle to receive – a depository box so to speak. Those deposits – words, pictures or feelings, are then stated exactly as received to self or others, without interpretation or judgement. The consultant is fully awake and interactive; however, because of the “energy” they are working in, they may not be aware of or remember, all the words they have received or spoken. A client may choose to share what they have received. The consultant is bound by confidentiality! “I am so appreciative of Stevie Levine for sharing with me her wonderful ability to work in the Akashic Records. My consultations with Stevie (and the Record Keepers) have helped guide me to a new awareness of self and all that surrounds us. The recognition I received during my readings have helped open and heal many of my “wounds” that lay so heavily on my heart and mind. Stevie has enabled me to recognize my life difficulties and achievements with new perspective so I can further my own positive growth. I am sure Stevie will speak to your heart and mind and EMPOWER YOU!